Heck, there is even a free prequel comic written by Tom Waltz (writer of the Teenage Mutant Ninja Turtles and Silent Hill comics, as well as a writer for Silent Hill: Downpour) and illustrated by Ciro Cangialosi (who is credited for his work on Monkey Island, but as far as I can tell he only made fan submissions. Hm. ), which you can get on Comixology here. That introduction aside, I sure got excited about the game! Amazon Game Studios’ previous iOS release, Til Morning’s Light, made in collaboration with WayForward is easily one of my favourite games in recent memory. This is hardly different with a well-developed and well-written world to explore, fun characters and an interesting story. Oh, and the collectables. Tons and tons of collectables to find and… collect. Which means that we are here once again, on the fields of justice (bonus points for getting that reference)! If there’s anything unclear in the directions, or you get stuck on a puzzle, go ahead and ask in the comments. Speaking of which, this intro may be free of spoilers, but the following pages will not be. Consider yourself warned! 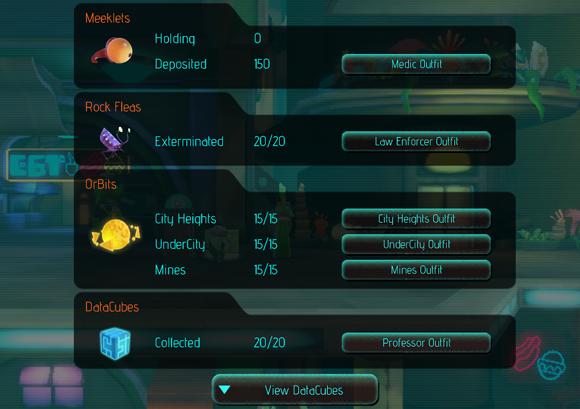 There are four types of collectables – Meeklets, Rock Fleas, OrBits and Data Cubes. Meeklets are the little tadpole-looking things that the Red Meeks drop after you pop them. You will need to pick up (and deliver) at least 150 of them to finish the collection. Rock Fleas are actually mutated Rock Fleas – large and docile versions of regular Rock Fleas. Unlike their feral counterparts, who will regularly try to bite your face off, these are happy to sit in place and sway back and forth, spreading disease and lowering property values. To get rid of them, you need to either punch or zap them with E’s blaster. There are 20 hiding throughout Big Moon. OrBits have been scattered around the world by the Tourism Department (or Bureau), to encourage exploration and adventure from the tourists. Considering where some of these orbs are, I’m not sure how thought-out that idea that was. Still, there are 15 in each of the three main zones and each set will give you a different reward! All you need to do is walk over them with either of our characters. Data Cubes give lots of information and lore about the world and setting of Big Moon. To unlock one of these, you’ll need both characters to stand next to the drone. No easy way out here! In a few days I’ll have a post up to completely spoil all 20 Data Cubes. Sorry. The pages in this guide are listed on the right side of the screen, or at the bottom if you’re on mobile. You might have to click on the blue arrow to show them. Each page is grouped by zone. Check your map for the name of the area you’re in, then go to the right page and scroll through to find what you need. Or search with Ctrl-F.
Every collectable will mention if you need to come back to an area later on, once you’ve unlocked more upgrades. After you have completed the game, you can still continue to play and collect secrets so don’t be afraid to go where the story tells you. The final few pages will spoil the ending and the Data Cubes. 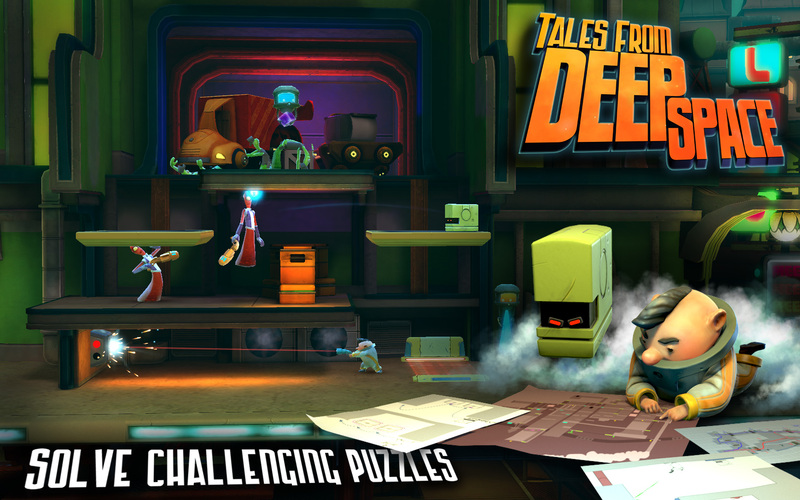 Don’t be shy and ask if you’re stuck, some of the puzzles can get quite tricky. This may not be a full walkthrough, but I’m still happy to help. Apologies for the small-ish images, they are a holdover from an earlier website with a smaller width and greater restrictions on size. I’ve learned a lot about optimisation since and hopefully it’ll show in the future. Sorry!